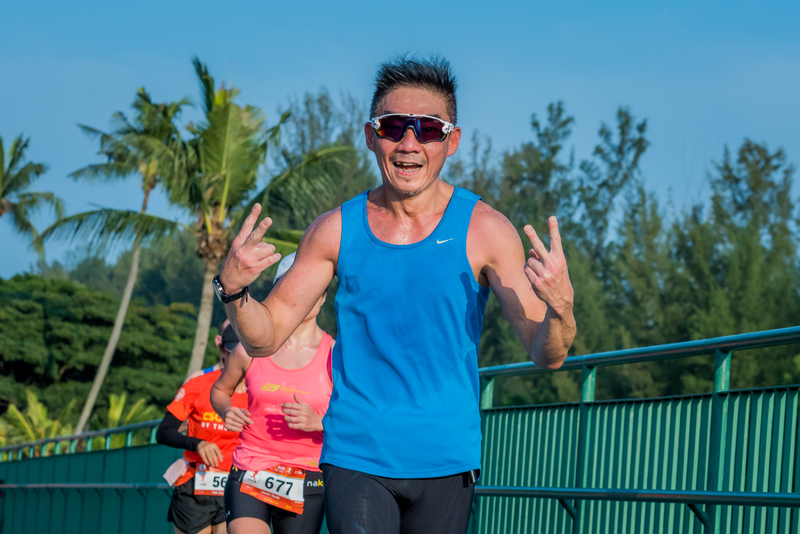 China’s Jinchao Qu won the headline 21.1km, beating his rivals and the balmy Singapore sunset heat with a very swift time of 1:17.38. Qu took lead over Singaporean Public Service Officer Wai Kit Lam, who was hot on his heels 15 seconds back. Ghim Koon Ho rounded out the podium in third a further 40 seconds later. It was an international affair in the women’s race. Japanese Maki Inami scorched the field, claiming victory in 1:21.24 and finishing 5th place overall just behind the lead men. Aussie April McKenna came second 15 minutes behind, with American Jenny Huang 2 minutes 30 seconds further adrift. 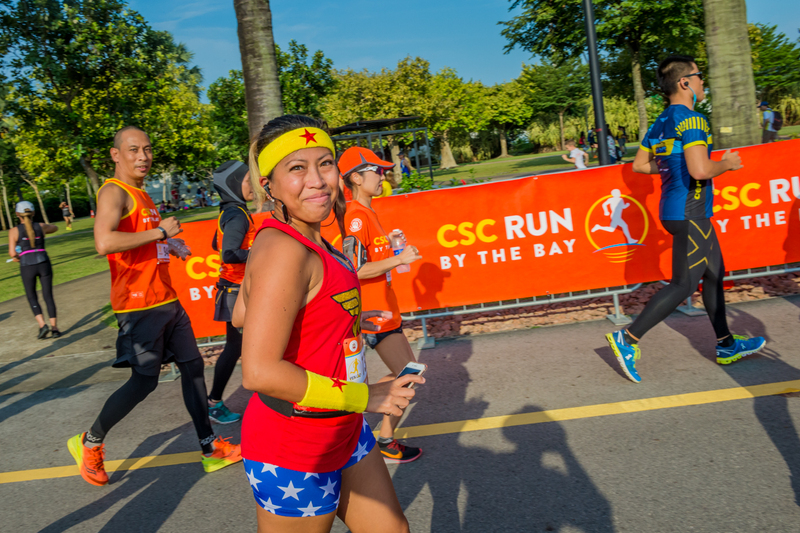 Itsuko Tanaka, a stalwart in the Singapore running scene, was the first Public Service Officer across the line, taking 4th place overall in 1:39.35. The 6km athletes set off under the illuminated evening skyline, enjoying the cooler temperatures and relaxed non-competitive vibe. Runners in this distance still receive their finish times. Heading the pack was Mike Goh in 31:25, followed 45 secs later by Hobert Labay and Wei Ming Dai 30 seconds further back. In the female event, Angie Teo took line honours in 35:59, with Sarah Quek closely behind in 36:16 and Jaslyn Tan a minute later in 37:20. 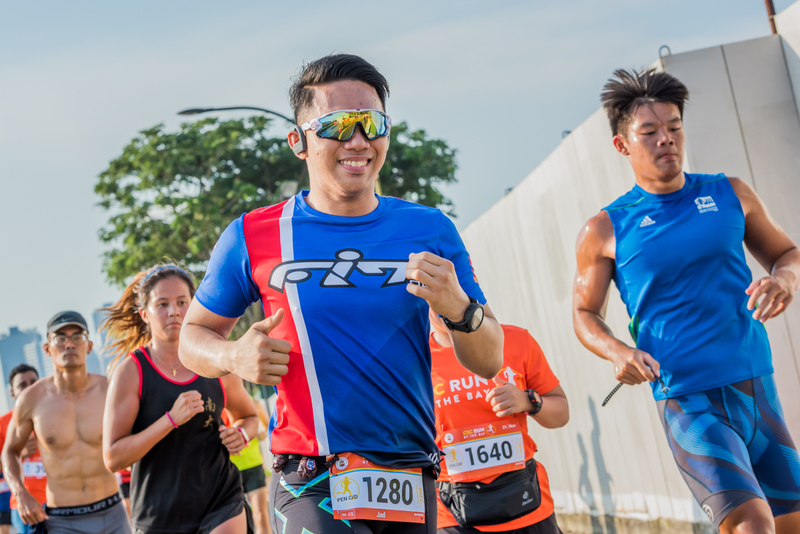 The event is a major one on the Civil Service Club’s annual calendar, aiming at promoting a healthy lifestyle among public officers and the Singapore community in general. Just under 2000 Public Officers ran over the course of the evening. The 12.8km distance was earmarked as the STAR games points’ earner, and saw 116 “Teams of 4”, each representing their Government Agency battle it out on the course. The overall STAR games champion s were the Ministry of Education, followed by Ministry of Home Affairs, and the Housing and Development Board.